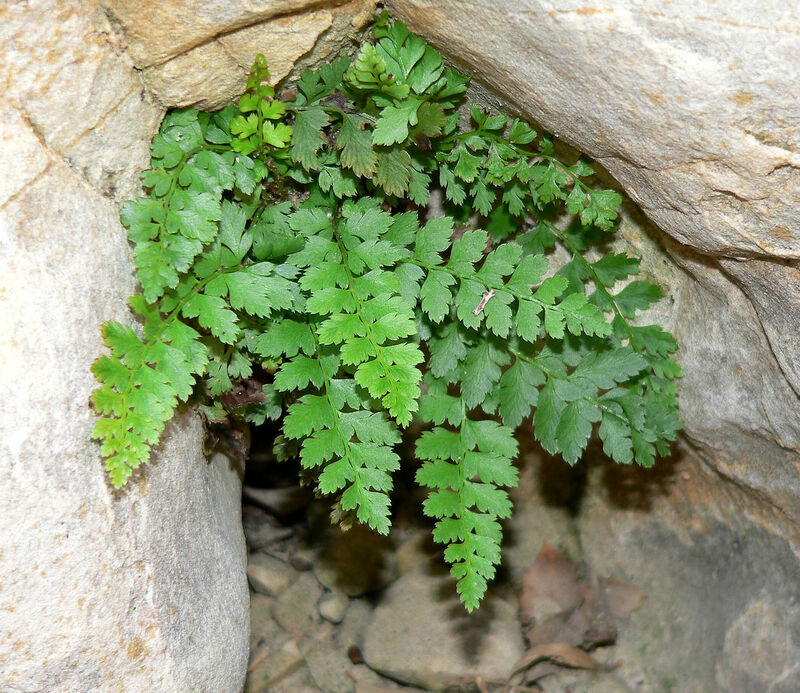 Cystopteris fragilis plant. commons.wikimedia.org (Accessed 2/2018). 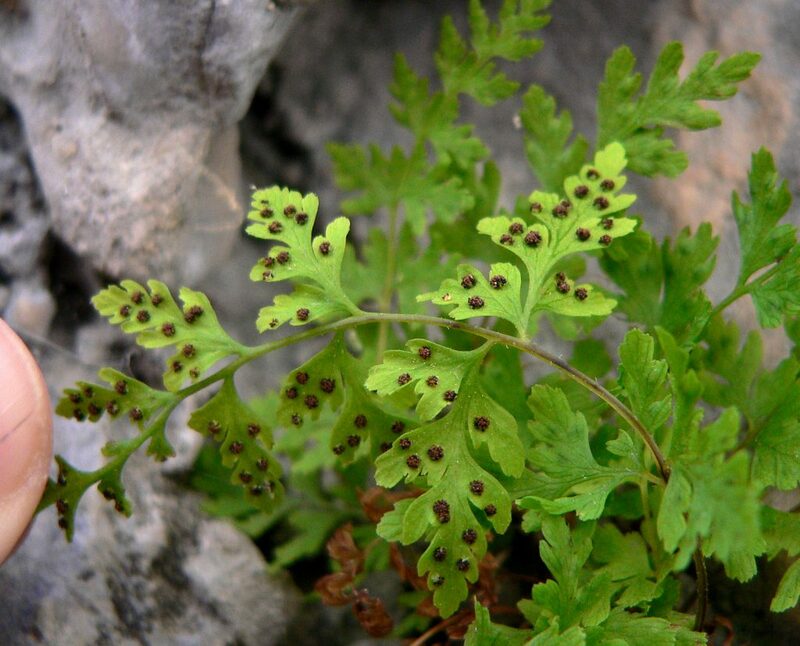 Cystopteris fragilis is a fern from along the end of a short, densely scaly rhizome. 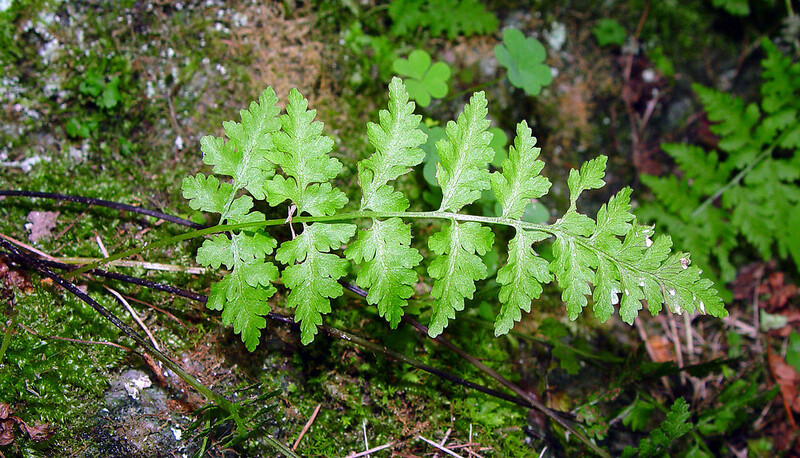 Cystopteris fragilis leaf. By Arthur Haines. Copyright © 2018. New England Wild Flower Society. gobotany.newenglandwild.org (Accessed 2/2018). Leaves to 35 cm stalk shorter than, or as long as, blade, dark at base, often greenish above, brittle, easily broken; blade to 20 cm long, 8 cm wide, 2-3 times pinnate, bright green, 8-18 leaflets per side, lowest leaflets as long as, or slightly smaller than the next ones up, size reduced above to narrow tip, leaflets pinnate to lobed, lobes divided or toothed, variable, tips blunt. Cystopteris fragilis spore cases. en.wikipedia.org.jpg (Accessed 12/2014). Spore cases scattered, sparse, along veins of leaflets (Cobb 1963). Habitat: Moist wooded slopes and ledges, in circumneutral soil. Notes: Appears in early spring and may become dormant in summer drought to reappear again in Autumn (Cobb 1963).